Moving can be a complicated and stressful process even before the first box gets packed. From making all the necessary arrangements with changing addresses to attempting to get rid of some belongings, moving from one locale to another comes with a unique set of challenges that can sometimes get the best of us. Coupled with the fact that you also have a life and a job, attempting to find the necessary time to move forward with the process can prove to be problematic. 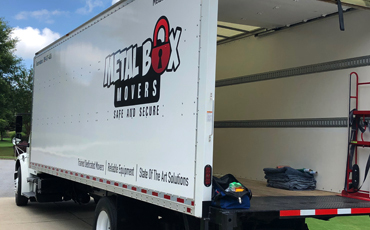 Professional household movers can help make the process far easier, and if you live in Roswell, Metal Box Movers is here to provide you with the household moving services that you need. Our moving experts have years of experience in a variety of moving scenarios, including household moves. Even if you’ve moved yourself a few times before, our technicians are trained to be effective and efficient. Packing your belongings in a way that ensures their secure arrival is one of our top priorities, and you can have the peace of mind in knowing that your items will arrive safely to your new destination. They can also disassemble your furniture from your old locale and reassemble it in your new one, making the process far easier for you. 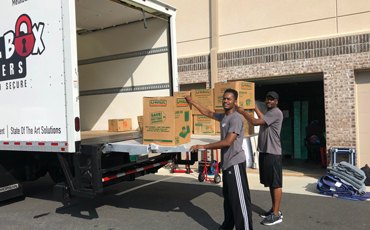 Our commitment to making things as easy and convenient as possible for our customers is exemplified in everything that we do, and by working with Metal Box Movers for your Roswell household moving needs, you’ll be working with a staff of experienced movers who will help alleviate the stress and pressure that can come with moving. 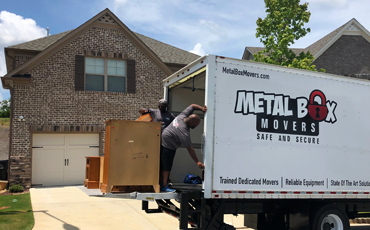 Whether you’re looking to move home from college, moving into a new home to accommodate a growing family or otherwise, Metal Box Movers aims to be your number one household moving company in Roswell. Contact us today to set up your free moving consultation.